I meant to post this earlier, but here are a handful of the smallest versions of the Celtic Pony. 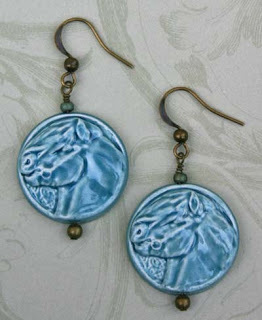 And here are some earrings made with the beads. 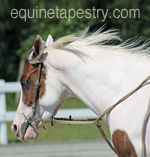 5 Responses to Pony Beads! OMGosh! They are amazing Lesli!!! Oooohhh, eeeee, ou! 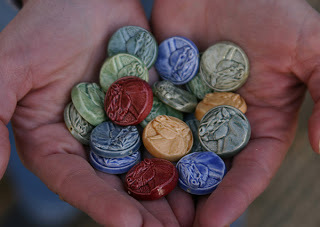 As a ceramic horse pin zealot, I adore the wee beads! And the earings, you rock Leslie!